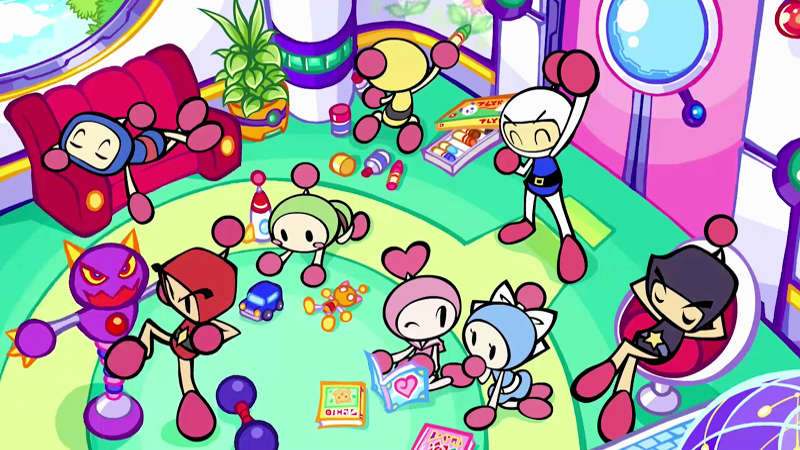 Since its release in 1983, Bomberman has been a familiar party-battle game for many years. 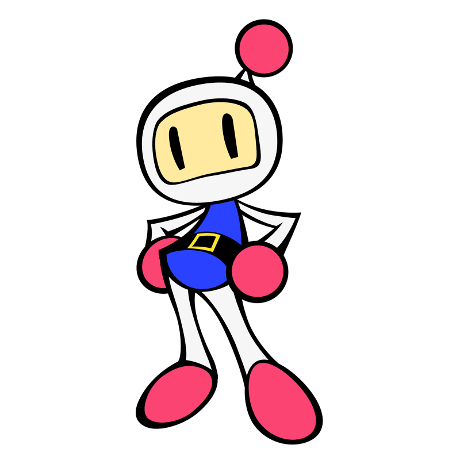 Now, Bomberman is coming back as Super Bomberman R for Nintendo Switch. 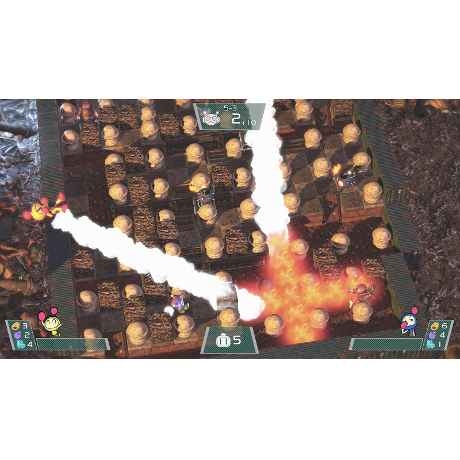 In Super Bomberman R, the simple rule remains the same – operate the main character, Bomberman, place bombs, and battle with enemies and rivals – but it's coming back in a modern style with 3D stages and photo-real graphics. 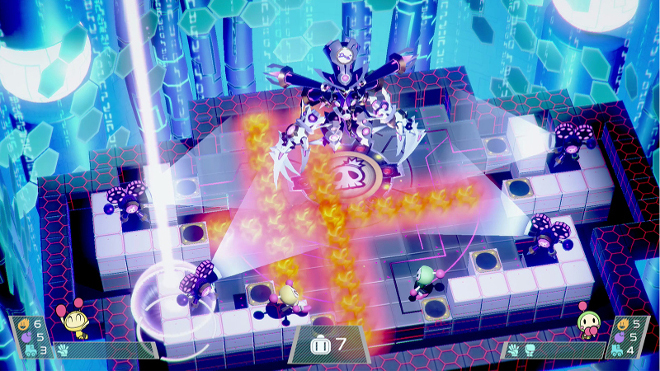 Plus, you can enjoy battles with rivals from all over the world! 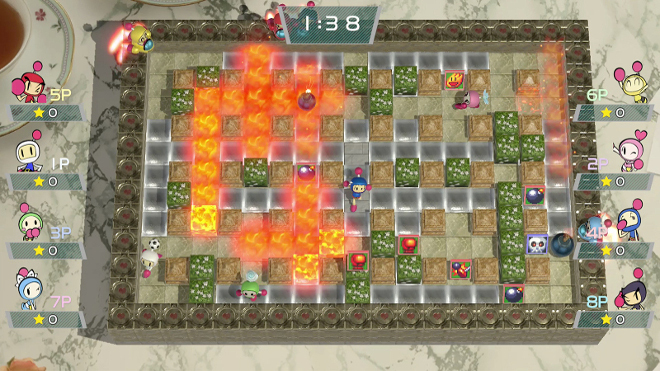 The Bomberman series has been delighting fans with its stunning multiplayer action since 1983. 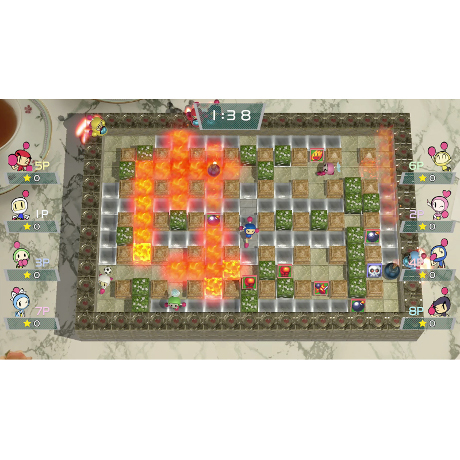 The premise of the game is simple: guide your chosen Bomberman around a maze-like play area using timed bombs to open walkways and take out players or CPU-controlled adversaries. 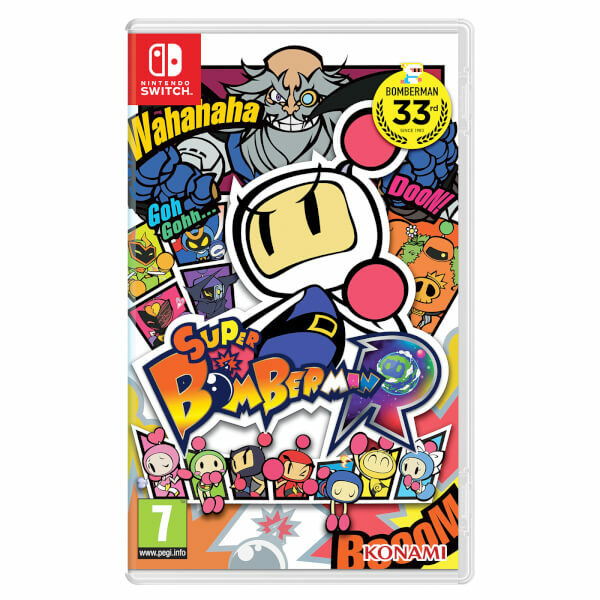 Super Bomberman R retains these core elements but places them with updated visuals that offer greater detail while still remaining faithful to the series' origins. 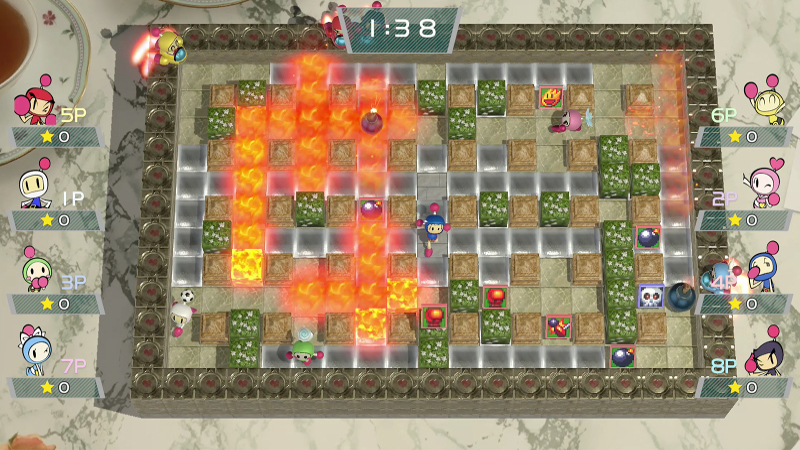 Super Bomberman R offers a 'Battle' mode where up to eight players are dropped within a maze until the 'last man standing' is declared the winner. There is also a 'Story' mode where one to two players work cooperatively to clear a series of 50 stages in order to save the galaxy. 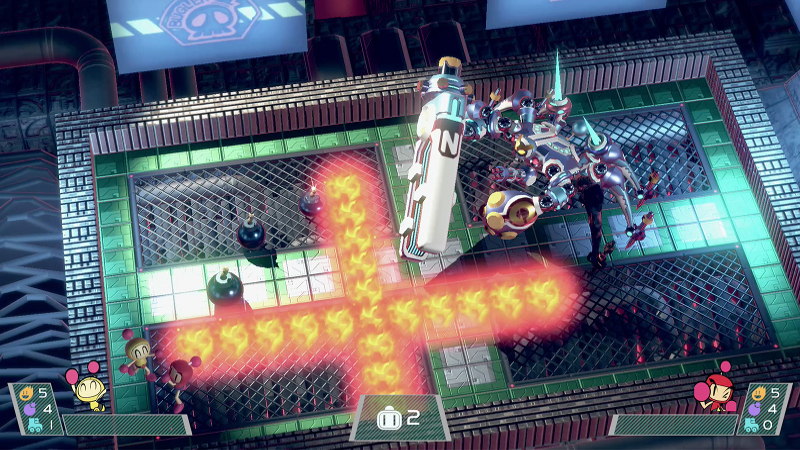 All key Bomberman elements return for the Nintendo Switch title, including useful items found within the destructible areas of each maze. 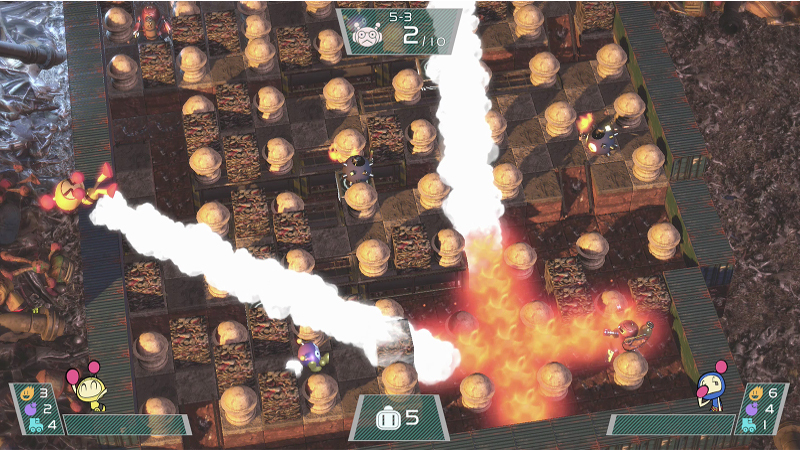 Removing a wall will often reveal a power-up to extend the range of the explosion or endow the user's Bomberman with a useful skill. 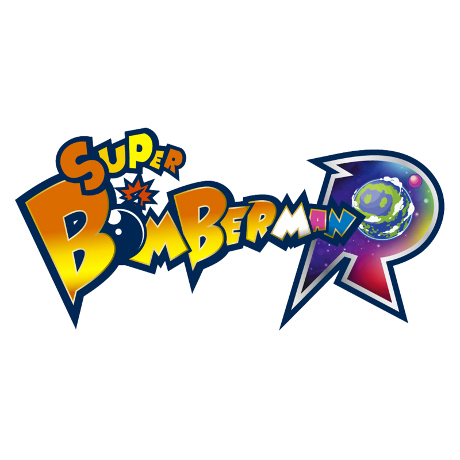 These include faster movement, the ability to kick or throw bombs, and more. Thus, as players gain ever more devastating capabilities, they must use all their skill and ingenuity to ensure their opponents get caught in a blast while avoiding its fiery touch! Fantastic party game for when you have friends over, works brilliantly on the switch with little sound delay and lag, and a very consistent frame rate. Perfect game for 4 player couch co-op.